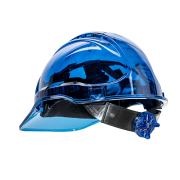 For a professional hard hat supplier offering a number of products at fantastic rates, JP supplies provide everything needed to protect your head in construction projects and for clients working in dangerous or hazardous environments. With both safety helmets available in a number of colours, and hard caps available, JP Supplies can deliver anything you need to your home or place of work. JP Supplies are experienced safety helmet suppliers and also assist clients throughout the South East in the supply of a number of other personal protection equipment, cleaning products and safety footwear.